Do you really know where your equipment is, such as expensive tanks, or do you rely on good word alone to be assured your product is in your tanks? In this CRM for Oil & Gas webinar, Steve Reybrock, a 30-year veteran of the Oil & Gas Industry and Ledgeview’s foremost CRM for Oil & Gas Product Implementation Specialist, will show you how to optimize CRM, using it to see who has your equipment, where it is, and if your product is really going into your tanks. Consider: How much money do you have out there now, and do you really know where it is? 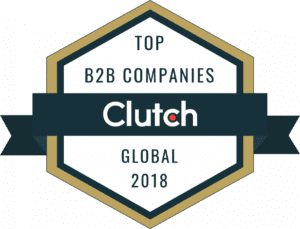 Equipment Tracking in CRM lets Lubricant Marketers know where their money is and see who still has their equipment, where it is, and when the contract is due. By tying a specific account to the equipment, Lubricant Marketers can record and track which customer has which equipment and the product that is supposed to be in it. Using this feature, as a Lubricant Marketer, you can identify pitfalls or questionable activity that may lead you to believe or identify that your product isn’t actually being used in tanks, preventing huge losses. You can also clean up your tracking methods with this part of CRM, and get rid of all the pesky spreadsheets you may currently be using to track and manage your loaned equipment. Dashboards provide easy visualization for Lubricant Marketers in CRM to track equipment, and, the best part is, with Ledgeview’s nationwide-preferred CRM solution for the Oil and Gas industry, you can fulfill your ROI using Equipment Tracking alone! The value of it is undeniable, and our customers can attest to that. If this topic interests you, don’t miss Ledgeview’s upcoming webinar. Even if you can’t attend the day of, register anyway so you get the link to view it on-demand later. 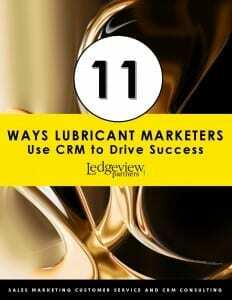 Learn more about how Lubricant Marketers use CRM to drive success in innovative ways when you download this Ledgeview Partners eBook.